Remember the tail end of last week when we brought you news that the still-hypothetical, yet increasingly-likely-to-hit-theaters-at-some-point third Bill & Ted movie had moved a bit closer to reality? 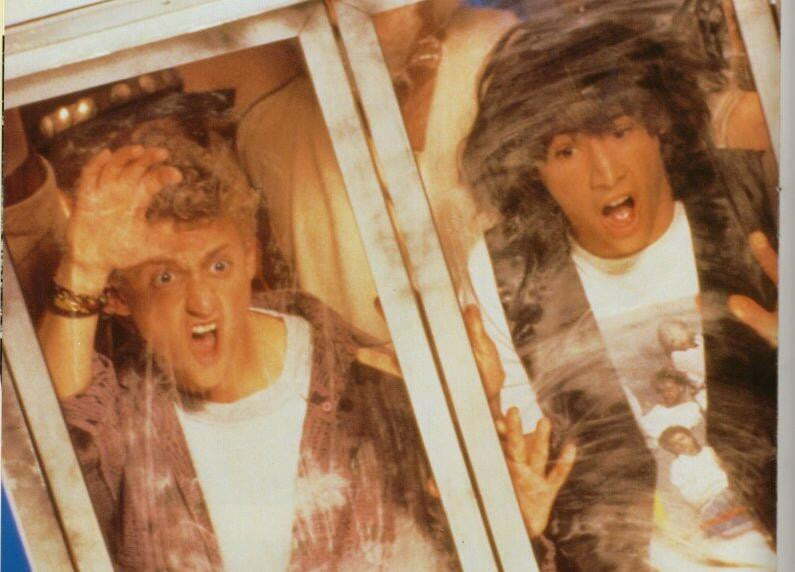 That got us excited for this film, but at the time we knew very little about the flick beyond the fact that Alex Winter and Keanu Reeves had agreed to reprise their roles from Bill & Ted’s Excellent Adventure and Bill & Ted’s Bogus Journey. Now, thanks to Keanu Reeves himself, we’ve got a scant few details about this movie’s plot. If we can digress for a moment, is anyone else finding Reeves’ use of the phrase “future us” to be immensely comforting? We are. As we mentioned in last week’s story, this film is in the very, very early stages of production. So far the film has a director (Galaxy Quest helmer Dean Parisot), two writers (original Bill & Ted creators Ed Solomon and Chris Matheson) and, of course, its crucial stars, but beyond that the movie is still seeking financiers. Though MGM owns the rights to Bill & Ted, the studio seems wary of funding a third Bill & Ted movie by itself. Other studios are currently being polled to see if any of them would like to co-finance the film, though as of yet there is no solid deal in place. While we’re still a bit wary of this project as a whole — again, who could possibly replace George Carlin as the helpful futuristic guide Rufus? — as more information on the film leaks out of Hollywood we can’t help but get excited. Have you watched either of the Bill & Ted movies recently? They were entertaining slapstick in our childhood, but re-watching the series as an adult is an entirely different experience. You understand so much more, and those of you who consider yourselves music geeks are guaranteed to love either film simply by virtue of the huge number of unexpected cameos by famous rockers. How many of you thought that Faith No More guitarist Jim Martin would become a beloved religous icon? We could maybe see Mike Patton being worshipped by indigenous tribes in the South Pacific, but Jim Martin? That one caught us by surprise.